The last three weeks have been very busy. Unfortunately I don’t think I’m alone. It seems like ultra-busy is the new norm, especially for us moms. We are constantly being pulled in a million different directions. To try and help, at the Canadian Health Food Association we developed a natural guide to workplace wellness. The guide includes supplements, foods and healthy habits that will help you to decrease stress, while increasing your energy levels and productivity. You can find the entire guide here or the high level summary below. Many of us may not realize there is a strong connection between our good gut bacteria and our brain. In fact, these friendly bacteria play a big role in our mood, ultimately helping us to reduce the stress and anxiety that we deal with on a daily basis. Keeping these good gut bacteria in-check is very important. Making sure that you are eating a variety of fermented foods such as kimchi, raw or unpasteurized sauerkraut, kefir or komboucha will help keep these friendly bugs healthy and happy. If you are dealing with prolonged periods of chronic stress, you may want to consider adding a probiotic supplement into your regime. Omega-3s also play an important role in our workplace wellness. Helping to boost productivity, omega-3s help with memory and learning. Make sure you are boosting your brain power by eating foods that are high in omega-3s throughout the day, hemp, chia, walnuts and fatty fish such as salmon. If you are not eating these foods on a regular basis you may want to try a high quality fish oil supplement. How we fuel our body plays a big role in how we perform throughout the day. Garbage in, garbage out. Often there is a disconnect between what we put in our body and how we actually feel on a daily basis. Making sure you are not going long periods without eating will help prevent you from eating whatever you can find when you get home. Having enough of the proper nutrients throughout the day, will also prevent you from mindlessly snacking in front of the TV after dinner. Eat a healthy breakfast. I personally love overnight oats because I can make them the night before, making them the perfect “grab and go” breakfast food in the morning. Make sure that your lunch contains complex carbs, protein and good fat. These three staples are going to keep you feeling full and satisfied throughout the day. Pack a superfood salad with spinach, quinoa, beans, sweet potatoes, goji berries, nuts, avocado and homemade dressing. Basically, if it’s in your fridge it can go onto your salad. Pack healthy snacks. There can be a long time between lunch and dinner. Making sure you have healthy snacks on hand will help you get though the 3:00 p.m. slump without searching for the closest vending machine. Veggies and hummus, fruit with a small handful of nuts, roasted chickpeas, coconut chips or homemade trail mix are all great afternoon snack options. Mindfulness is about actually being present in this moment. Unfortunately most of us spend our time thinking about what we did not get done yesterday or what we have to do tomorrow. Taking a couple of minutes to check-in and become aware of what is actually happening right now has a huge impact on our stress levels. Becoming more mindful will not only help you to decrease stress and anxiety but it will also help you to improve creativity. Try setting a reminder on your calendar to stop and take three deep breaths, go for a walk and focus on nature or meditate for even 15 minutes. We have all heard that sitting is the new smoking. Exercise plays an important part in how we manage stress. Incorporating more movement into the day by doing some deskercise, going for a walk at lunch, having a standing meeting or sitting on a ball will help to increase movement and ultimately decease stress. 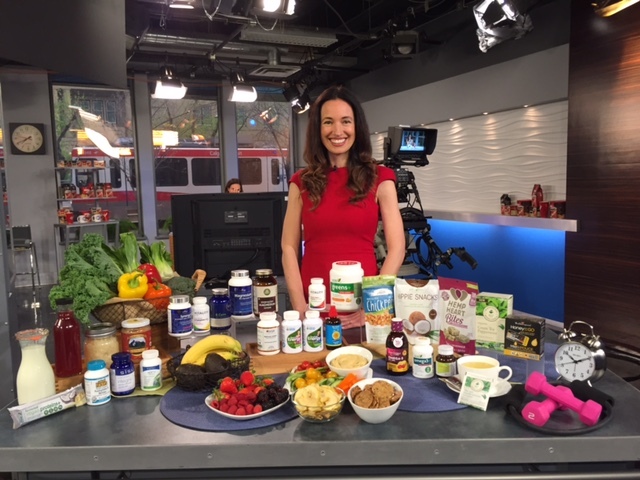 For even more great tips on how to manage stress you can watch this video or visit the Canadian Health Food Association YouTube page to watch some of the TV interviews I did on our natural guide to workplace wellness. What do you do to reduce stress at work? Do you take any supplements? Do you pack your lunch? Do you find mindfulness or exercise helps decrease your stress levels? I would love to hear your thoughts below. What Should You Eat in the Morning? 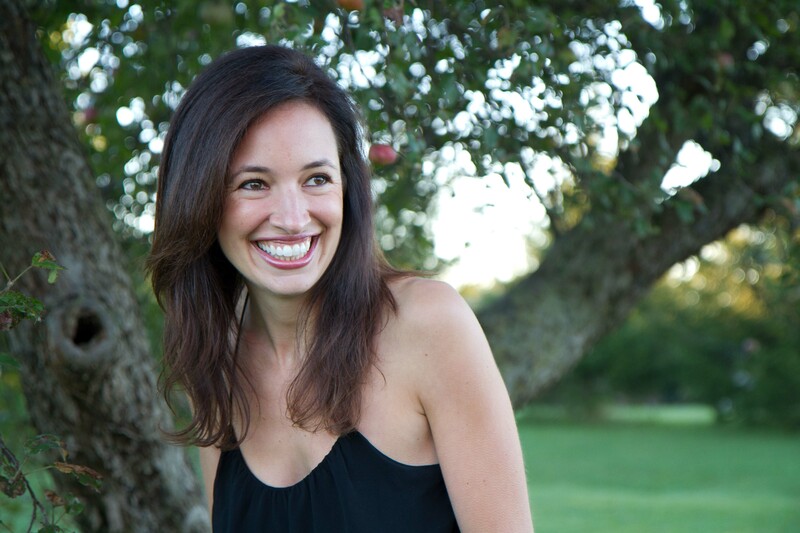 Sign-up for inspiration on how to be a healthier and happier mom.